When you decide to separate or divorce and you share children, your top priority is very likely the well-being of your kids. You must settle many important issues regarding how your children will be parented after the divorce, including a custody agreement as well as the negotiation of child support. 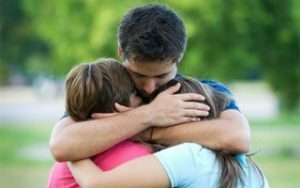 Johnson Mediation offers comprehensive mediation services to help families navigate the entire divorce process and move forward with a positive and healthy life. Our team understands how important your kid’s well- being is to you and we will make sure to put your family first every step of the way. Mediation allows you and your divorcing spouse to navigate the divorce process without a lengthy, expensive court battle. The mediation process empowers both parties to find flexible and workable solutions for a wide variety of issues, including those that pertain to your children. The traditional divorce process can be extremely stressful and actually increase the amount of conflict present between the parties. Mediation is based on compromise and will lay the groundwork for successful co-parenting even after the divorce is final. Parenting Time Expeditor: A parenting time expeditor is a neutral third party that can help you and your divorcing spouse resolve disputes about parenting time, rather than going through the court to resolve the dispute. Parenting Consultant: A parenting consultant is appointed by the court and will help mediate complex parenting issues that may come up. A Parenting Consultant will help you and your partner come to a decision that is in the best interest of your child. If you can’t make a decision with your parenting partner, the Parenting Consultant has the authority to make decisions that are in the best interest of your children. Divorce Coaching: A divorce coach works directly with one party, helping you understand your options through the process, manage your emotions and to create an actionable plan for your life after divorce. Divorce Mediation: Divorce mediation is an effective method of settling issues during your divorce by finding common ground, rather than proceeding through the courts, which can become very adversarial. A trained mediator can help lead productive discussions to find solutions that put your family first. Johnson Mediation helps families navigate divorce so that healing can finally begin. 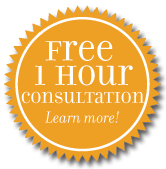 For more information about our child mediation services, call our team at 952-401-7599 to schedule a free consultation.